Snack bars are a go-to toddler snack and for good reason: They are easy to eat on the go, they are pretty delicious, and they are a nice way to offer up a balanced snack without creating too much mess. We sometimes make them at home, but store-bought ones are incredibly convenient and often hold up better when packed in the diaper bag. 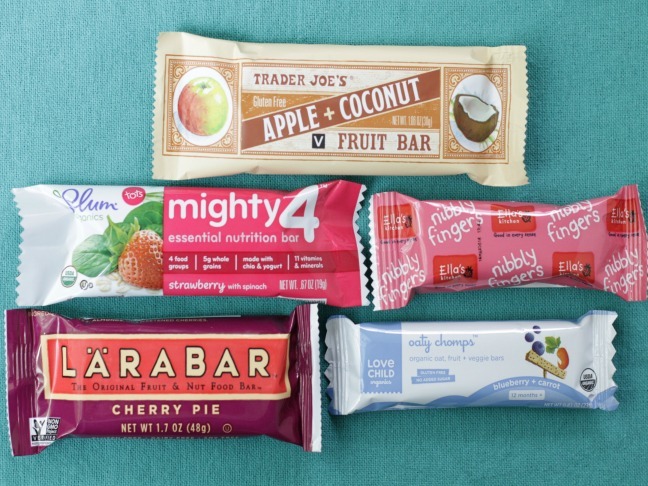 But with so many options on the market, it can be hard to know which are the best snack bars for toddlers, so I vetted the options and picked my five favorites. Real ingredients. I like a label that has words I can understand, so the simpler the ingredient list, the better. Balanced nutrients. Toddlers don’t need to be eating protein bars, but it does help their energy (and their moods) if their snacks are a balanced mix of complex carbohydrates, fat, and/or protein. Low added sugars. These are meant to be snack bars, not candy bars, so my preference for low added sugars is reflected in our picks. Toddler approved. 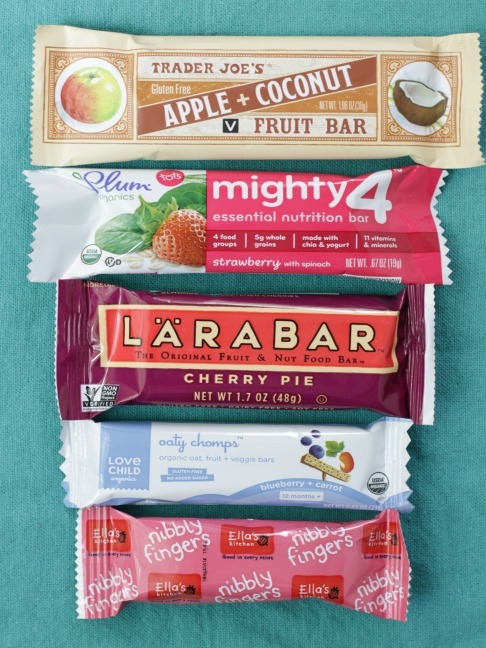 My daughter loves all of these bars and we’ve shared some with friends, so texture- and flavor-wise, these are well suited to little eaters. And now a look at what makes each of these bars special. With just two ingredients—apples and coconut—this is like fruit leather, only a little more substantial. There’s a bit of fat from the coconut, which helps balance the natural sugars from the apple. It’s a naturally sweet bar that kids (and moms) will love. Strawberries, spinach, yogurt, and chia seeds team up with whole grains to make this cereal bar that’s great for breakfast on the go or a snack. It has a jam center, so it sort of tastes like a less-sweet version of a Nutrigrain bar. Yes, it has a longer ingredient list than some of the others, but it’s nice to have some extra nutrients in the mix at times. This is my pick for a snack bar that you can throw into the diaper bag and share with your toddler whenever hunger strikes. We like this Cherry Pie flavor, as well as Apple Pie and Lemon. Some of the chocolate or nut flavors can be a little dry, so opt for the fruity ones as they have a better texture for toddlers. Either break a bar in half and let your kid bite away, or break off tiny pieces for younger eaters. This brand is a newer one to us, so we shared one with our twelve-month-old buddy and he loved it. The ingredient list is really straightforward—“organic oats,” “organic dates,” etc.—and each of the two flavors available contains both fruit and veggies. They are also easy for little hands to hold, soft enough to chew easily, and appropriately sized for younger toddlers. Toddlers have little tummies, so they might not always eat an entire bar. Know that’s entirely normal, and appetites can vary from day to day. Store an unfinished bar in a zip-top plastic bag and serve it up again when hunger strikes.